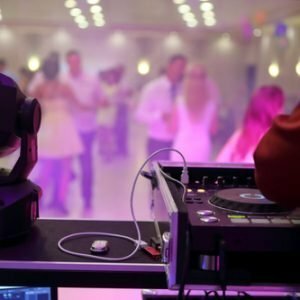 The two main things your guests will remember most about your wedding reception are the food and the music your wedding DJ played. 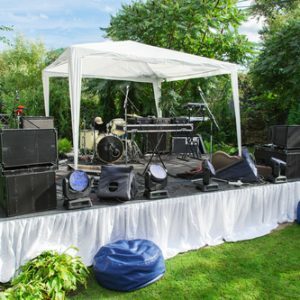 We know you will want to have a truly memorable wedding reception and will want your music selections to be unique to your special day. It is important to select music that fits with different times during the reception. You will want to have music played as guests arrive, before dinner, during dinner, while cutting your wedding cake, during the bouquet toss and to get people out of their seats and onto the dance floor. A popular trend we have been noticing is couples are selecting acoustic music along with other songs they want played at their reception. 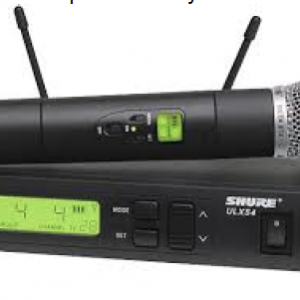 Acoustic music is great to play in the background at different times during your wedding celebration. “Grow Old With You” – This song is great for cake cutting, the first wedding dance, or the last dance of the evening. “Can’t Help Falling in Love” – This is a great song you can use to transition from upbeat dance music to a slow dance. “We Found Love” – The acoustic version of Rihanna’ song from Boyce Avenue is just as good when you want a variation. “Love Song” – Adele does a great job singing this classic song in her acoustic version. “Let’s Stay Together” – This acoustic song can be very romantic and is performed by Obadiah Parker. “All of Me” – The acoustic version of this popular wedding song is performed by Boyce Avenue. “XO” – If you like John Mayer, then you will want to include his acoustic song in your music selections. “Better Together” – While Jack Johnson’s version is just as popular at weddings, the acoustic version performed by Us the Dou is equally popular. “Fade into You” – This song is a great one to play as a slow dance and is performed by Ben Harper. “Crazy in Love” – This popular Beyoncé song is performed by Daniela Andrade and she does a good job with the acoustic version. “Latch” – If you like Sam Smith, this song is a good one to include for a slow dance during your wedding reception. There are plenty of acoustic songs to choose from to reflect your tastes. Please feel free to let us know what types of acoustic songs you like. 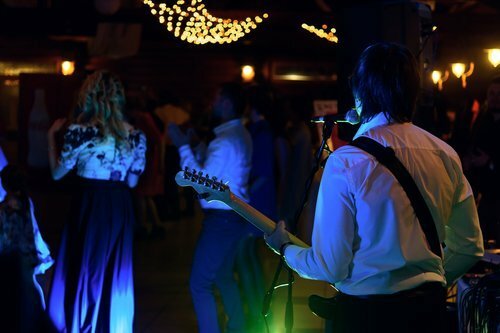 We can help build your custom music selections for your wedding reception to create a memorable event for you and all of your guests. For assistance in finding a wedding DJ and creating your playlist for your wedding, please feel free to contact Airwaves Music at 1-888-676-7772 today! 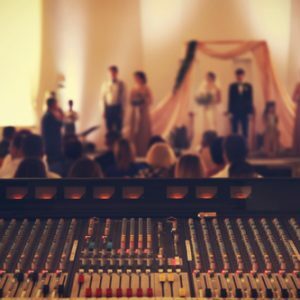 Our DJs perform at weddings in Kelowna, Vancouver, Ottawa, Toronto, Calgary, Victoria, and all across Canada, as well as at destination weddings.